The body is a site bearing multiple signs of cultural inscriptions. People’s postures, use of space, dress codes, speech particularities, facial expressions, tone qualities, gaze, and gestures are codes that send messages to observers. These messages differ across cultures and times. Some of these non-verbal messages are taken to be conscious or subconscious projection of a sense of personal or collective identity. The various forms of “body talk” may flag personal distinction, style, uniqueness or politics, in which case, the body and its presentations become stances of the self. 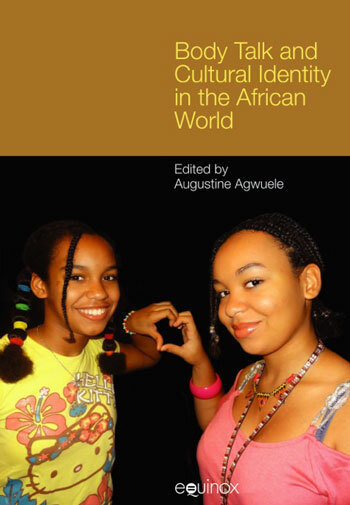 Different from this, body talk may exhibit a society’s or culture’s standardized norms of valuation with respect to what conforms or deviates from expectations The subject of this anthology is non-verbal communication signals with contributing studies from societies and cultures of Africa and African Diaspora. The goals are to document popular gestures, explore their meanings, and understand how they frame interactions and color perception. The anthology is also aimed at offering interdisciplinary perspectives on the problematics of non-verbal communication by making sense of the various ways that different cultures speak without “voice”, and to examine how people and groups make their presence felt as social, cultural and political actors. This ensemble demonstrates the vast scope of non-verbal communication; as such, it employs different but theoretical and disciplinary approaches. Some of the contributions include case studies, descriptive codification, theoretical analyses and performative studies. The issues highlighted range from film and literature studies, gender studies, history, religion, popular cultural, and extends to the virtual space. Other studies provide a linguistic treatment of non-verbal communication and use it as means of explicating perception and stereotyping. The book is a welcome and excellent contribution from Africa and its scholars to the study of nonverbal communication in its broader sense.